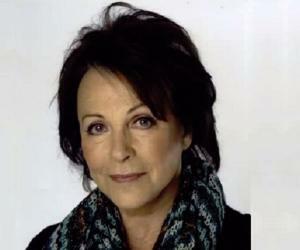 Claire Bloom is a British actress who is best known for her role in the Charlie Chaplin movie ‘Limelight’. Read this biography to know her birthday, childhood, achievements, family life and other fun facts. Claire Bloom is a British actress who is best known for her role in the Charlie Chaplin movie ‘Limelight’. She decided to become an actress quite early in her life and started studying drama and acting while still a child. She began her career by performing for BBC’s radio programs before making her stage debut at the age of 15. A string of plays in the UK and America followed, and she was seen in many hit productions of the 1940s, including ‘The Lady’s Not for Burning’, ‘Hamlet’ and ‘Look Back in Anger’. Not long after that, Bloom was asked to play the leading role in a feature film called ‘The Blind Goddess’. However, it was her next film with Chaplin that brought her worldwide success and recognition. Since then, Bloom has not looked back and has played diverse kinds of roles in both movies and TV series. Her most notable works include ‘The Haunting’, ‘A Doll’s House’, ‘The Spy Who Came in from the Cold’, ‘Clash of the Titans’, and ‘The King’s Speech’. After winning hearts of the audiences with her consistent performances over the years, Bloom continues to be an enthusiastic stage and screen actress. 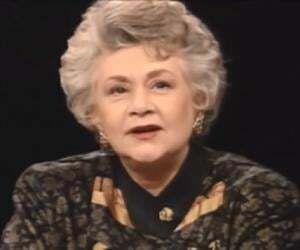 Patricia Claire Blume was born on February 15, 1931 in Finchley, Middlesex, UK, to Elizabeth and Edward Max Blume. She has a brother named John Bloom, who is a film editor. She first attended Badminton School in Bristol before deciding to study acting at Guildhall School of Music and Drama in London. Bloom started studying under Elsie Fogerty, an elocution teacher, at Central School of Speech and Drama in London. When London came under attack during World War II, Claire’s family shifted to the United States for a while. In the US, she raised money for a charity by singing. She was also drawn to Broadway and decided to become an actress after watching the play ‘Three Sisters’. Soon after that, her family moved back to London. 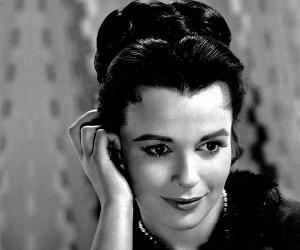 Claire Bloom’s zest for acting ensured an early stage debut in 1946. She joined the Oxford Repertory Theatre and started appearing in their productions. Later, she performed on stage for the Shakespeare Memorial Theatre. Additionally, she also worked in BBC’s radio shows. In 1947, Bloom was cast in ‘The Lady’s Not for Burning’, first performing in its London production and later on Broadway. She was also seen in a string of Shakespearean plays, including ‘Hamlet’, winning accolades for her role. Her other plays from this period included ‘Look Back in Anger’, ‘Rashomon’ and ‘A Streetcar Named Desire’. She debuted on the big screen in 1948 with her first film ‘The Blind Goddess’. However, she became famous only after her 1952 film ‘Limelight’, starring Charlie Chaplin, was released. The movie proved to be a landmark in her career. In 1953, Bloom starred in the movies ‘Innocents in Paris’ and ‘The Man Between’. She played the leading lady and love interest of the male protagonist in several notable films of this time. They included ‘Richard III’ (1955), ‘Alexander the Great’ (1956), ‘The Brothers Karamazov’ (1958), and ‘The Buccaneer’ (1958). In 1959, she starred as Helena Charles in one of the biggest hit films of the decade, ‘Look Back in Anger’. 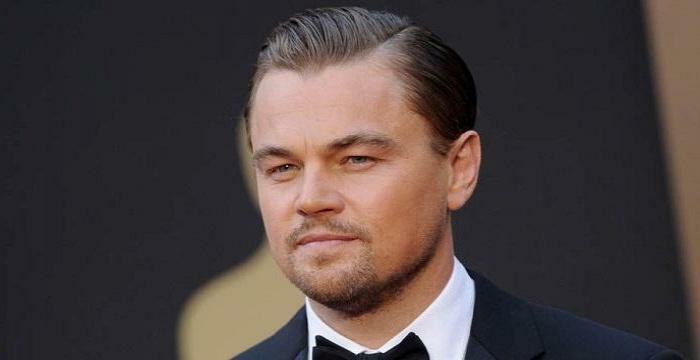 The movie was nominated for several ‘BAFTA’ awards, in addition to receiving glowing reviews. Unsurprisingly, it pushed her acting career further. After dominating the cinema screens throughout the late 50s, the beginning of the new decade saw Bloom appearing in movies, such as ‘Brainwashed’ (1960), ‘The Wonderful World of the Brothers Grimm’ (1962), ‘The Chapman Report’ (1962), ‘80,000 Suspects’ (1963), ‘The Haunting’ (1963), and ‘The Outrage’ (1964). She starred opposite Richard Burton in the thriller ‘The Spy Who Came in from the Cold’ as Nan Perry in 1965. The British film received positive reviews at the box office and was also nominated for several prestigious awards. In the late 1960s, Bloom worked in movies with contemporary storylines, such as ‘Charly’ (1968), ‘The Illustrated Man’ (1969) and ‘Three into Two Won’t Go’ (1969). She continued this trend in the early 1970s with films like ‘A Severed Head’ (1971) and ‘Red Sky at Morning’ (1971). She starred as Nora Helmer in the movie adaptation of Ibsen’s play ‘A Doll’s House’ in 1973. It proved to be a critical and commercial success, and she won the ‘Best Actress Award’ for her performance at the ‘Taormina International Film Festival’. After a break of four years, she appeared in the movie adaptation of Hemingway’s ‘Islands in the Stream’ in 1977. The film, however, didn’t fare well at the box office. She later appeared in the 1981 movie ‘Clash of the Titans’ as Hera. In 1981, Bloom was roped in to play the role of Lady Marchmain in the mini-series ‘Brideshead Revisited’. The series became one the most popular TV shows of the decade, and she was also applauded for her performance. After the show’s success, she decided to focus on television. In 1983, she first appeared in the TV movie ‘Separate Tables’ and was later seen in the mini-series ‘Ellis Island’. She followed this up with movies, such as ‘Déjà vu’, ‘Ann and Debbie’, ‘Shadowlands’, and ‘Promises to Keep’, in 1985. Bloom’s role as Joy Gresham in ‘Shadowlands’ was widely appreciated by many, and she won the BAFTA for Best Actress for her role. In 1987, she appeared in the movie ‘Sammy and Rosie Get Laid’. Later, she was seen in the TV series ‘Queenie’ as Vicky Kelly, and as Ruth Gregory in ‘Intimate Contact’. In the next year, she worked in TV movies like ‘The Lady and the Highwayman’ and ‘Beryl Markham: A Shadow on the Sun’. In 1989, Bloom was cast as Mirian Rosenthal in the Woody Allen film ‘Crimes and Misdemeanors’, which fared well at the box office and was also appreciated by the critics. Bloom starred alongside Martin Landau and Woody Allen in the movie. In 1991, she played the role of Old Sophy in the TV series ‘The Camomile Lawn’. She was next seen in movies like ‘It’s Nothing Personal’ (1992), ‘A Village Affair’ (1994), ‘Mighty Aphrodite’ (1995), ‘Daylight’ (1996), ‘What the Deaf Man Heard’ (1997) and ‘The Lady in Question’ (1999). Bloom began the new millennium by appearing in the TV mini-series ‘Tales from the Madhouse’ (2000); and the TV movies ‘Love and Murder’ and ‘Yesterday’s Children’. Later, she worked in feature films, including ‘The Book of Eve’ (2002), ‘The Republic of Love’ (2003) and ‘Imagining Argentina’ (2003). In 2004, she appeared as Marion Whitney in one episode of the hit TV series ‘Law & Order: Criminal Intent’. In the same year, she played the role of Claire Martin in the movie ‘Daniel and the Superdogs’. Next year, she essayed the role of Marie Hewitt in the mini-series ‘Jericho’. In the Agatha Christie’s TV adaptation ‘Marple’, Bloom appeared as Aunt Ada in the episode ‘By the Pricking of My Thumbs’ in 2006. She was later seen in the movies ‘The Chatterley Affair’ and ‘Kalamazoo?’. She concluded the year by working in the TV series ‘The Ten Commandments’ and ‘Trial & Retribution’. While Bloom is predominantly a screen actress, she also remained active on stage. She appeared in plays, such as ‘Dance Lessons in Six Weeks in 2006 and ‘Love Letters’ in 2007. In 2008, she played the role of Helen Brownlow in the TV series ‘New Tricks’. In the next year, she appeared as The Woman in the hit BBC series ‘Doctor Who’. Bloom was seen in the Oscar-nominated movie ‘The King’s Speech’, starring Colin Firth, Geoffrey Rush, and Helena Bonham Carter, in 2010. She played the role of Queen Mary and was hugely appreciated for her on-screen presence. After working in ‘The King’s Speech’, she has starred in a variety of movies and series like ‘Day of the Siege’ (Movie, 2012), ‘And While We Were Here’ (Movie, 2012), ‘Max Rose’ (Movie, 2013), and ‘Casualty’ (TV show, 2013). She also played the recurring character of Margaret Ellingham in the hit TV series ‘Doc Martin’. More recently, Bloom was seen in the TV series ‘Midsomer Murders’ (2018) as Matilda Stowe and as Maggie in the film ‘Miss Dali’ (2018). 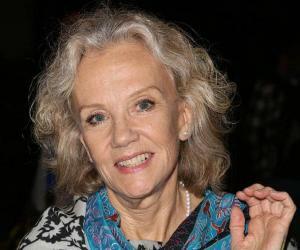 Apart from acting, Bloom is also an author who has written two memoirs: ‘Limelight and After: The Education of an Actress’ (1982) and ‘Leaving a Doll’s House: A Memoir’ (1996). In her books, she walks down the memory lane and talks about the events surrounding her illustrious career and personal relationships over the years. Among the many notable films Claire Bloom starred in, ‘Limelight’ remains the most popular one, in which she starred alongside the legend Charlie Chaplin. This movie not only catapulted Bloom to success but also brought her international fame. Her other important movies include ‘The Haunting’ and ‘The King’s Speech’. Claire Bloom was married to her ‘Rashomon’ co-star Rod Steiger from 1959 to 1969. They have a daughter called Anna Steiger, who is a famous opera singer. She married the theatre and film producer, Hillard Elkins, in 1969. However, their marriage lasted only three years, and the couple decided to part ways in 1972. On April 29, 1990, she married the award-winning American writer, Philip Roth. They had dated for several years before finally tying the knot. However, they separated in 1994.